Well somethings are for sure...I will be snuggling this little guy tons!!! I missed him while we were away! Again, my I introduce our baby, Grayson aka Doggieman, the Great Bunzonie, or just Doggie! 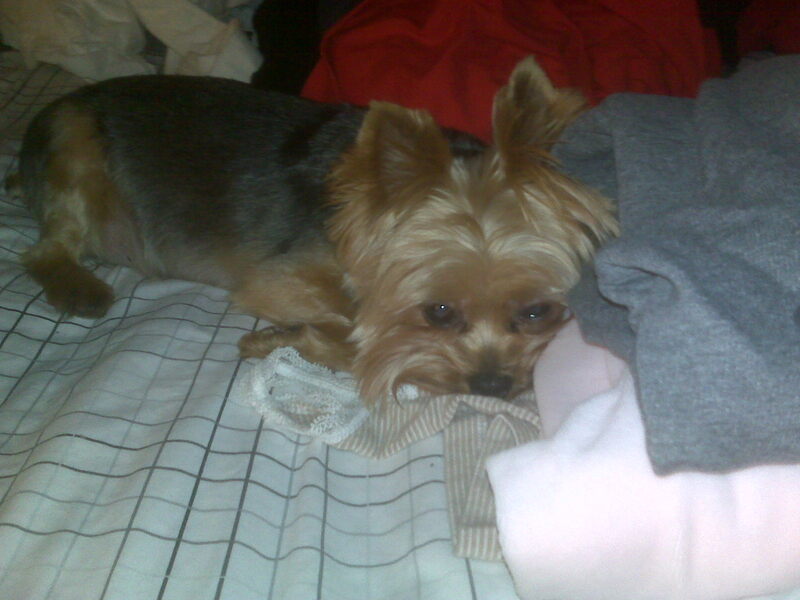 He was helping me fold the laundry and it was too much for him! Your baby is just too cute!!! Oh my gosh! What an absolutely adorable puppy! Have a fabulous weekend! So nice to see a photo of my pup's new BFF. :) I love that your little guy is little too! Can't wait for next Sunday. A little lunch, playing at the dog park...it will be fun!